This is actually sort of for . I hope things get easier for you, girl. 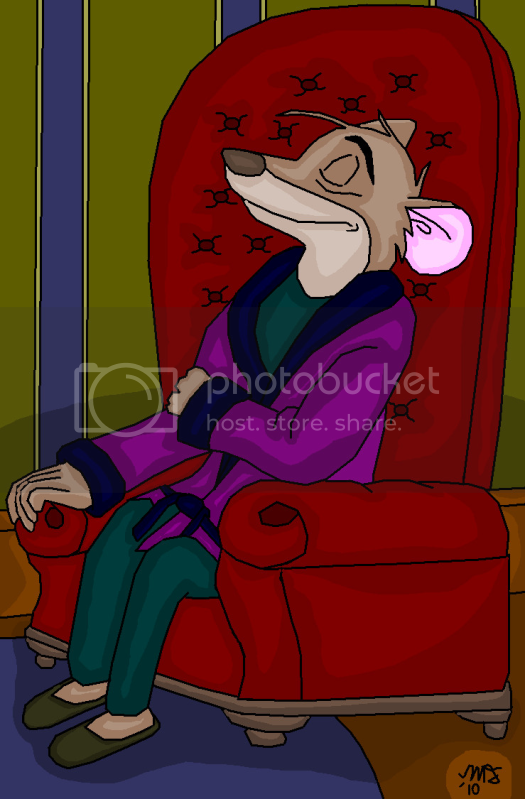 I was bored last night, and I have always wanted to attempt at drawing Basil, just asleep in his chair. I had one reference for that chair, and I thank for that, because it's her picture that I looked at. Basil of Baker Street is (c) of Disney and Eve Titus.